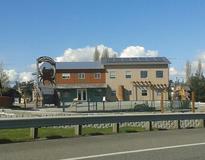 New Building at Terry's Corner on Hiway 532 Goes Solar. 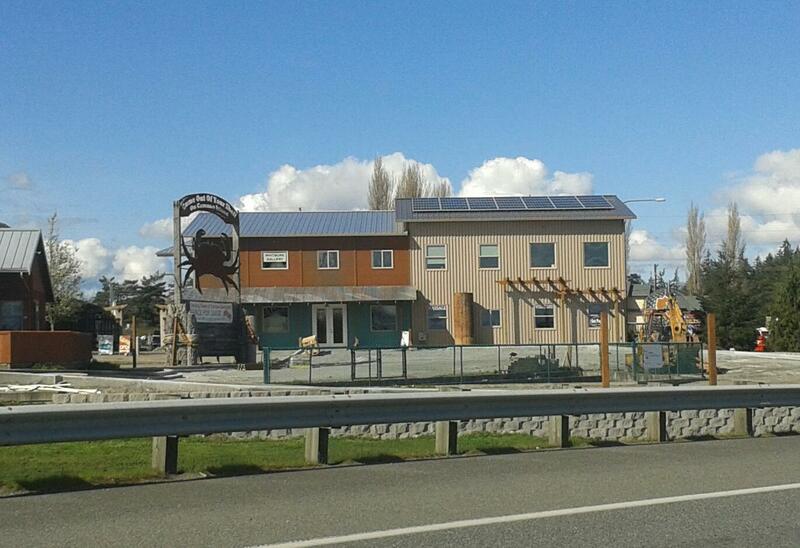 At the triangle shaped commercial zone known as Terry’s Corner on Camano Island on State Route 532, Camano Island Coffee Roaster erected a new building. 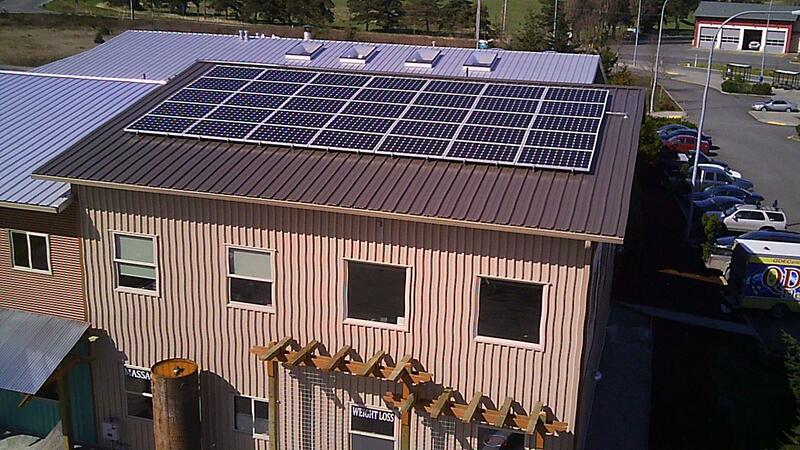 Because of the height of the building, the 9.8 KW solar system (35 Itek Energy panels) on top is only visible at a distance. 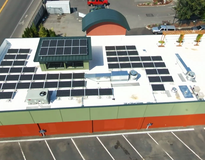 Installed by Fire Mountain Solar, 25% of the system was paid for with a USDA Rural Development grant awarded to Jeff Ericson and Camano Island Coffee Roaster. 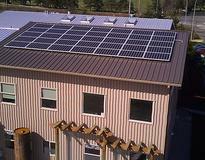 Because it is under 10 KW, the system was sales tax exempt, one of the ways Washington State promotes clean solar energy. 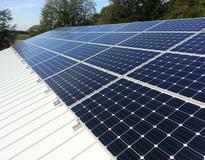 Jeff Ericson says if it works well, he’d like to add more on another rooftop. Fire Mountain Solar is very confident the solar system in this sunny location will produce the projected amount of electricity for a long long time. Coffee is the second most traded commodity in the world; only oil is traded for more money each year.